Cranford Hollow And You, Brutus? Cranford Hollow have an insanely beautiful sound to their music. They appear to have captured the very best parts of a whole bunch of genres and styles, then fused them skilfully and thoughtfully with masses of passion and originality. And You, Brutus opens up as this atmospheric, dream-like bit of light electronica. Soon enough, the music unfolds and evolves around you, these stylish guitar moments come into play, the beat brings about a thick and classic soft rock anthem sound, and on top of it all; that beautifully raw, gravelly, well lived, country-rock-soaked leading vocal that just screams real feeling and power. You could listen to the whole recording and simply swoon at the crisp satisfaction of such a well crafted country rock track, but much more thrilling than this is to let it play, let it surround you, and really focus in on the lyrics – which swiftly take things to a whole other level. The band’s lyrics are a sort of final, extra, extra cherry on top of an already mind-blowing cake. There’s poetry and striking imagery in the lines. There’s precision in the choices – nothing is wasted or simply there for show. There’s also an unquestionable realness to it all. The verses offer a reflective and honest approach to expression, though not in the obvious or simplistic way you might expect. The storytelling is fresh and unpredictable, fitting flawlessly within the mood of the music. These attentive observations come partly as metaphor, partly as reality or genuine possibility. There’s a distinct presence of sadness within the rhymes, but it’s strangely quite empowering to hear them sung in such a passionate and even positive manner. The song seems to present the ways of the world under the light of a setting sun, as if performed live from a truck driving off into the haze – but maybe that’s just me. Either way, it makes for a pretty powerful listening experience. An incredible song, one of the best so far this year. A captivating and fascinating band with a hell of a lot to offer. Well worth paying attention to; let the music into your life. Play it loud. 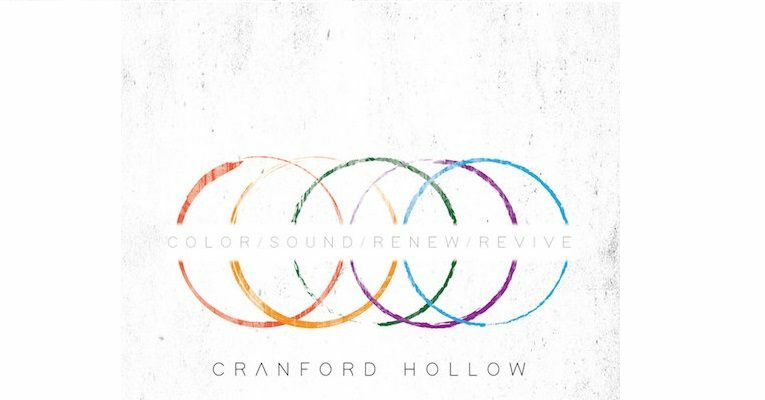 Find and follow Cranford Hollow on Facebook, Twitter, Soundcloud & Instagram. Color/Sound/Renew/Revive is the band’s fifth full length album and is available now. Visit their Website for more info. These guys are amazing live as well.